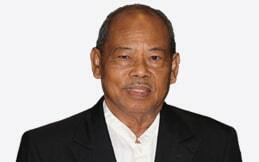 Ladiman Djaiz had more than 30 years of experience as auditor, tax consultant and business consultant. He was a Certified Public Accountant (CPA). He was a member of the Indonesian Public Accountants Professional Standards Board (known as SPAP) of Indonesian Institute of Accountants (IAI). He was also a lecturer at Universitas Jayabaya. He hold a Master in Management degree from IBII. Ladiman had been a partner-in-charge for various audit (e.g. general audit, investigative audit, and special audit), tax (e.g. tax compliance, tax planning & consulting, and tax audit assistance), and consulting (e.g. SOP preparation and feasibility study) engagements. He had helped many clients solve their business problems. He passed away in 2016. Novita Budi S. has more than 10 years of experience as tax consultant and auditor. She is a certified tax consultant (BKP) and a Certified Public Accountant (CPA). 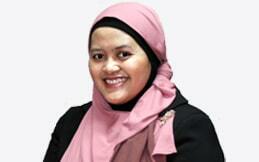 She is also a faculty member at Universitas Indonesia and has provided tax and audit training for several companies. She holds a Master in Accounting degree from Universitas Indonesia. Novita has assisted numerous clients dealing with their tax issues by providing tax advice, helping them to meet their tax obligations, and representing the clients during tax audit from the tax office. She has also been in-charge in many audit engagements for various clients. 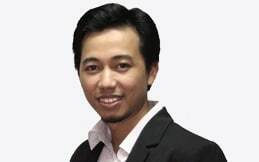 Muhammad Natsir has more than 10 years of experience as business risk consultant, financial analyst, and business process consultant. He a Certified Public Accountant (CPA), Certified Internal Auditor (CIA) and has passed Chartered Financial Analyst (CFA) level 1 exam. He holds a Master in Business Administration degree from Mays Business School at Texas A&M University. Natsir has assisted several clients solving their accounting problems by designing their standard operating procedure (SOP), evaluating and selecting the right accounting software, and guiding their employees throughout the implementation phase. He has also been in-charge in internal audit, fraud investigation, general audit, and SOX implementation.